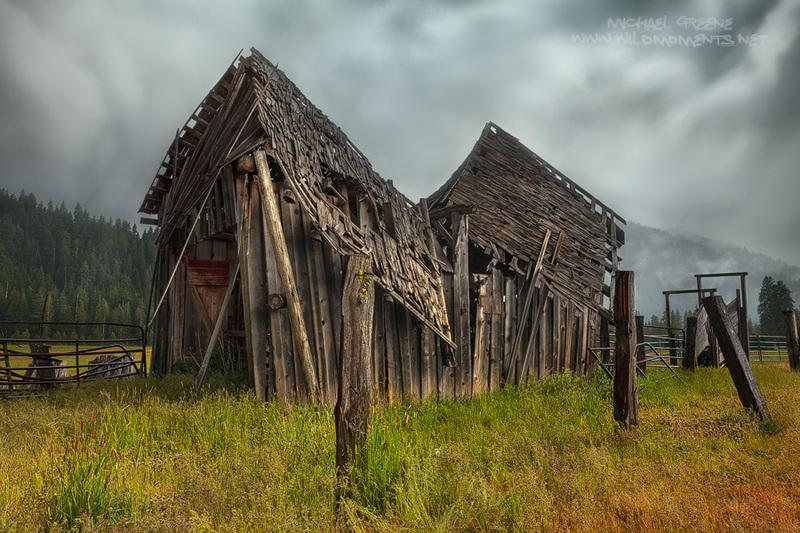 I was fascinated by this old barn on a recent trip to CA. It was raining hard when I captured this image. I was holding my own umbrella. It was a combination of 2 exposures manually blended for dynamic range. This was about the best angle I could find. Photo © copyright by Michael Greene.